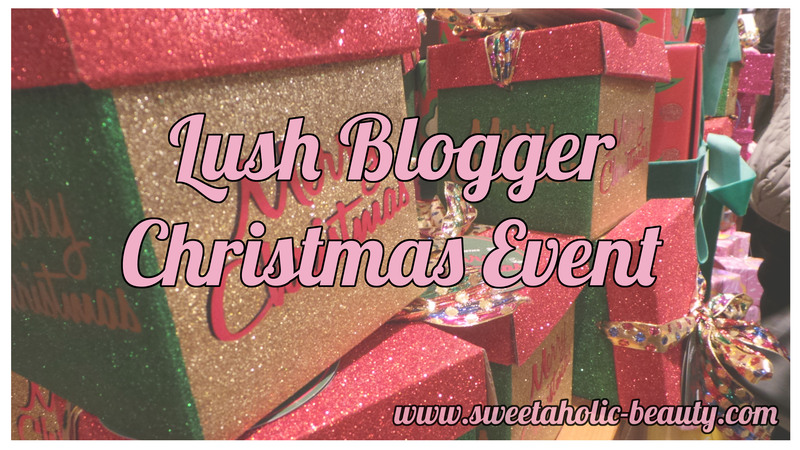 A little while ago, I attended the Lush Blogger Christmas Event! 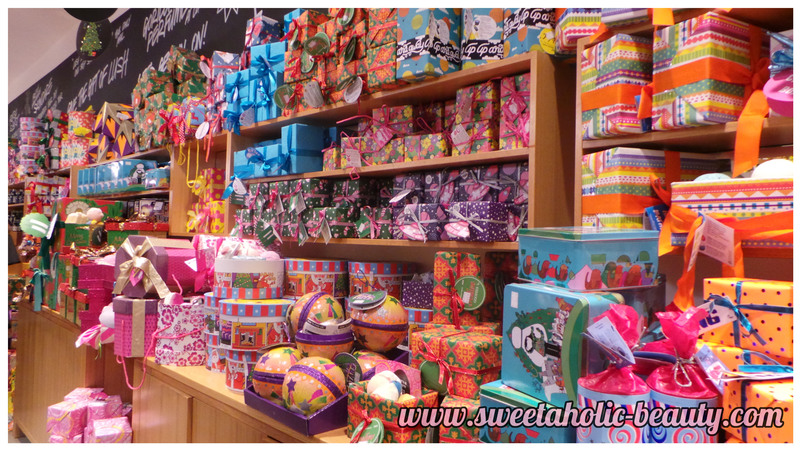 Lush is one of my favourite stores come Christmas time, as they always have the most amazing themed products! 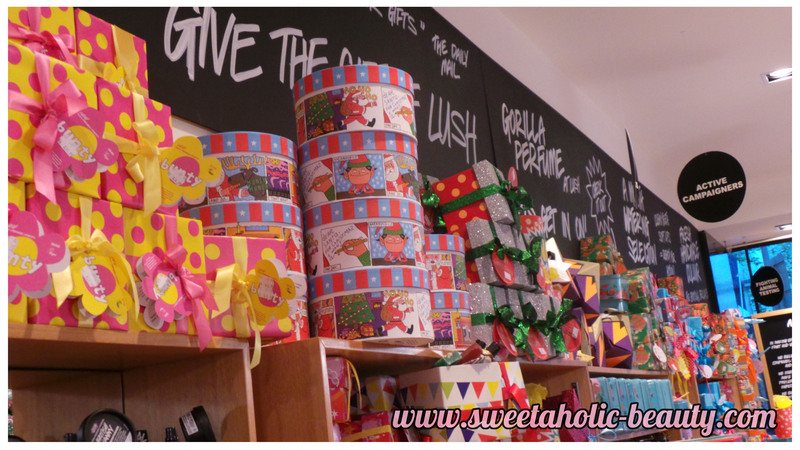 The lovely people from Lush invited some of us bloggers to have an exclusive look at some of their limited edition Christmas goodies! Much like the last Lush event I attended (which you can read about here) they had the most amazing food! 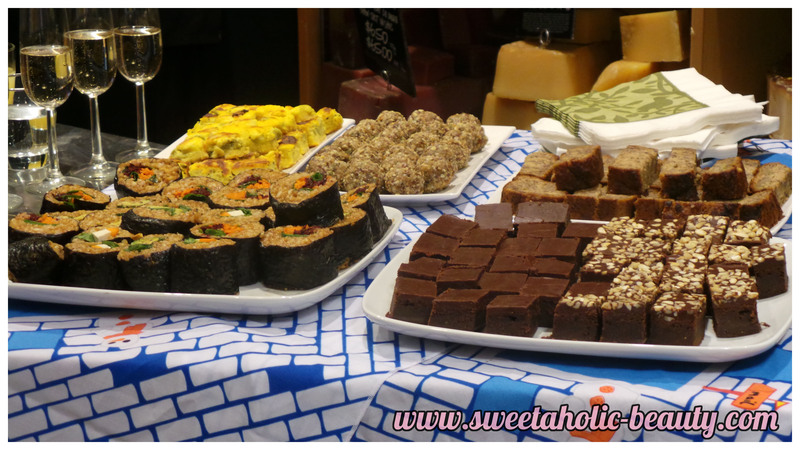 Needless the say, the yummiest goodies here were definitely the chocolate squares! The amount of Christmas packs were just amazing! 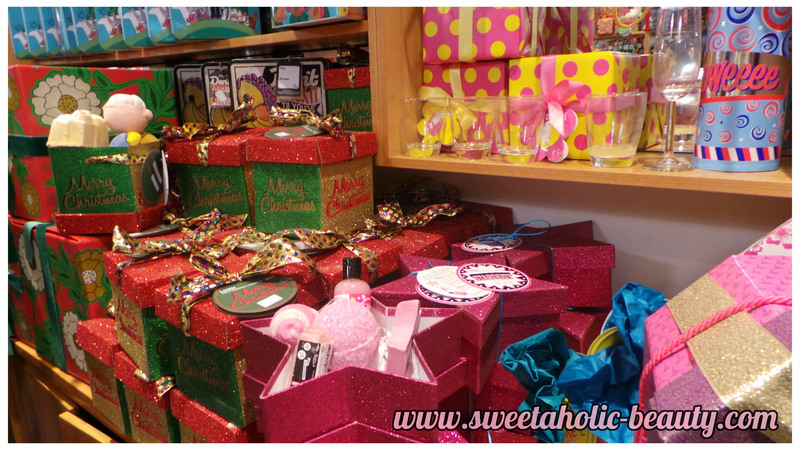 The whole store was jam packed with awesome Christmas glittery goodies! We were lucky enough to learn how to make the amazing Cupcake facemask - one of my favourites! It was surprisingly filled with some amazing ingredients, and so quick to make! The end result of Cupcake! We were lucky enough to take one home! 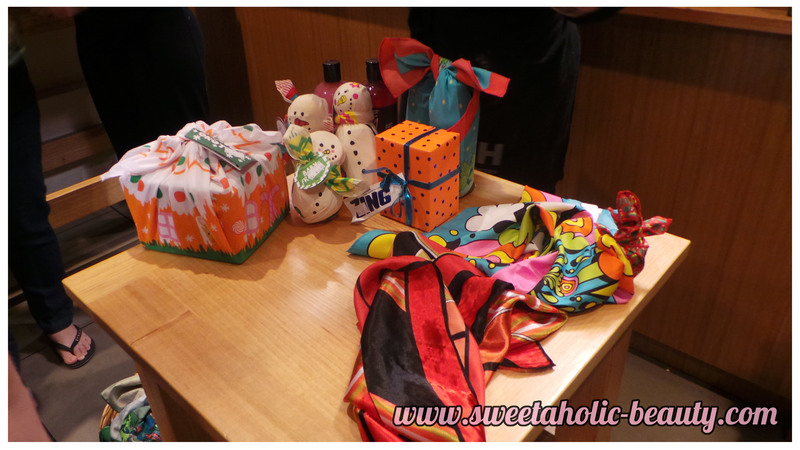 We also learnt how to use the knot wraps that you can buy in store as gift wrapping! There are so many different ways you can wrap products up with these beautiful wraps, as well as wearing them in your hair! Luckily, they gave us a little sheet including some how-to because otherwise I would have definitely forgotten! Crazy amount of gift packs! I seriously am lusting over these babies! Aside from adding a very long list of Lush goodies to my Christmas wishlist, we also learnt a lot about the newest Lush campaigns in the new year! To start with, they have already begun to reduce the amount of plastic glitter they are using in their products, and so instead are using food-grade glitter instead! I love the idea of this, because not only does the glitter disintegrate in the bath (and not get stuck to your skin) but it's also safer for the environment! The reduction of plastic glitter is just the beginning though - come 2014, Lush will officially ban the use of plastics within their corporation, and will be making a public stand against the use of non-reusable plastics. They will also be making their Swanston Street store in Melbourne a place that anybody can come and fill up their reusable water bottle! I hope to review some of these products shortly, as I've already used a fair share of them! I've already fallen in love with a few of the products, so I'm really sad to see them go at the end of Christmas! A big thank you to Lush for hosting this event! The ladies were as lovely as ever, and it was really exciting to hear about all their newest campaigns! 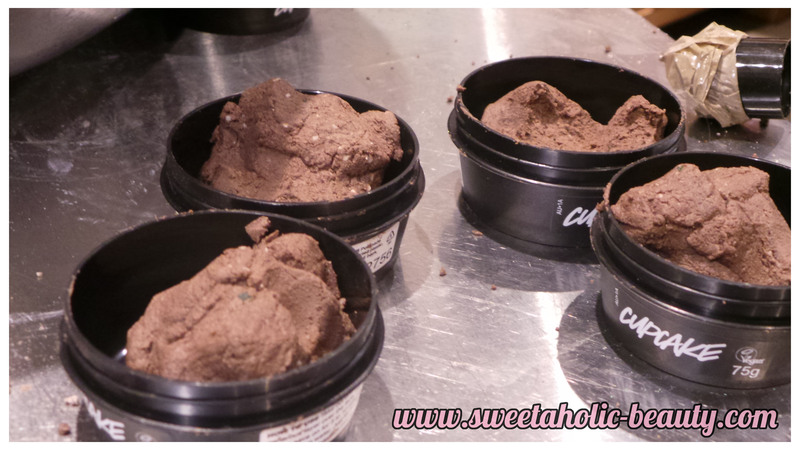 Are you a fan of Lush? If so, what are your favourite products? That looks like a lot of fun and they gave you heaps of stuff! Great post up about the event lovely. You snapped some good shots there! If you don't mind me asking - what do you use to watermark your photos? You are soooo lucky being able to go to this event! It looked like heaps of fun! Lush are doing some great things and love their products! This sounds like such an amazing event! I wish they had one in Perth! Oooh so lucky! You received some brilliant pressies :) Lush is such an impressive company and their products are just wonderful!